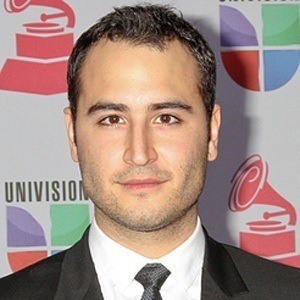 Musician best known as the founder and lead singer in the Mexican band Reik. The band rose to fame with their singles "Yo Quisiera," "Peligro" and "Ya Me Enteré." In 2009 they won a Latin Grammy Award for their album Un Día Más. He formed the band in 2003. Popular across social media he has attracted more than 490,000 followers on Twitter, more than 350,000 followers on Facebook and over 330,000 followers on Instagram. He grew up with an older brother and a sister named Gabriela. He plays alongside bandmates Gilberto Marín Espinoza and Julio Ramirez Eguia in Reik.